After a ProPublica investigation of USA Discounters’ lending practices last summer, a barrage of lawsuits, regulatory inquiries and changes to Defense Department policies followed. Update, Aug. 26, 2015: USA Discounters filed for bankruptcy protection Monday after closing its last store. The company cited lower sales, “regulatory investigations and adverse media reports” in its bankruptcy filing as reasons for its collapse. The chain, which once had 24 stores, almost all right outside military bases around the country, has been holding a rolling going out of business sale. The closures follow our investigation of the company’s lending practices last summer and a subsequent series of government inquiries and Department of Defense actions. USA Discounters did not respond to our calls and emails seeking comment. Just seven of the company’s two dozen stores remain open – and those are furiously selling off merchandise at discounts of “70%–95% OFF,” according to the company’s website. ProPublica’s investigation, which also ran in the Washington Post, detailed how the company guaranteed credit to service members for items that sometimes sold for two to three times the typical retail price. 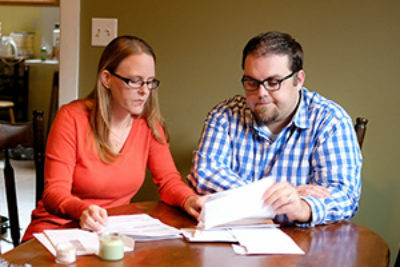 If borrowers fell far behind on their loans, USA Discounters sued them in Virginia state court, regardless of where the purchases were made. Between 2006 and last July, USA Discounters had filed more than 13,000 suits in Virginia courts —almost always winning— and seized the pay of more active-duty military than any company in the country. Another retailer featured in the story, Freedom Furniture and Electronics, is also closing. Following our story last year, a group of senators sent letters to federal regulators urging them to investigate USA Discounters and toughen up laws and regulations to address the lending and collection issues highlighted in the article. A spokesman for the Consumer Financial Protection Bureau (CFPB) said the agency does not comment on investigations. The company initially reacted by issuing a press release calling ProPublica’s reporting inaccurate, though it identified no errors. Later, USA Discounters announced it was changing the name of its stores to “USA Living” and reforming its collection practices. It would still sue service members in a court that might be hundreds of miles from where they are based, but customers would be clearly notified of the impending action and given the option to be sued closer to home. It was a change a consumer advocate described as “a little less bad” than before. Then, late last year, the Defense Department announced a big change that seemed likely to dramatically change the way the company did business. As we detailed in our story, USA Discounters’ military customers almost always set up payments through the military’s allotment system. That ensured that with every paycheck, USA Discounters got paid first. In one letter after ProPublica’s story, five senators urged the Department to accelerate an already ongoing review of the system. The Department’s new policy prevents retailers like USA Discounters from using allotments as a form of payment and eliminated “that aspect of the allotment system most prone to abuse by unscrupulous lenders that prey on our service members,” as a Department press release put it. Both USA Discounters and Freedom told us last year that the change to allotments would not have a major impact on their business. Separately the company also entered into a settlement with the CFPB last year over a $5 fee the company charged its military customers. The new year brought more complications. In April, USA Discounters was hit with a class action lawsuit. In July, Colorado’s attorney general filed suit, calling the company’s practice of filing lawsuits in Virginia against Colorado-based service members “unconscionable.” North Carolina’s attorney general has announced an investigation of the company, which a spokeswoman said was ongoing. 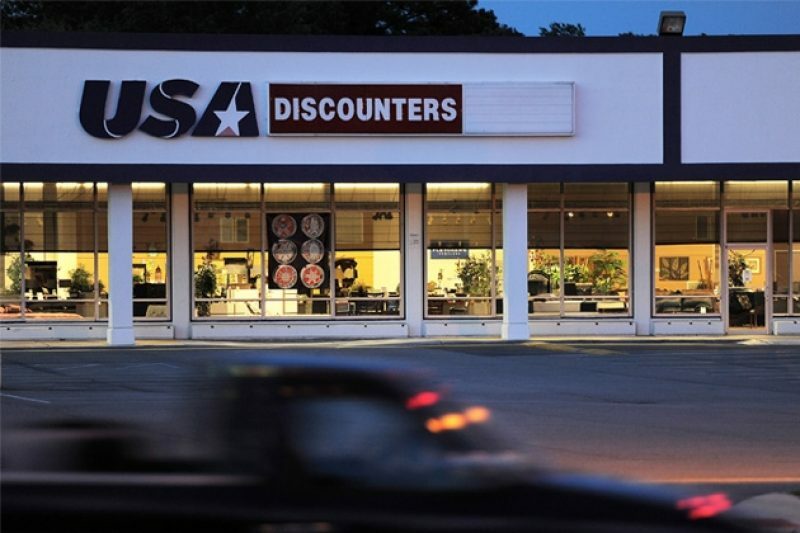 USA Discounters continued filing lawsuits against service members in Virginia courts until May of this year, but recently it has dropped almost all of its open suits against out-of-state defendants, court records show. 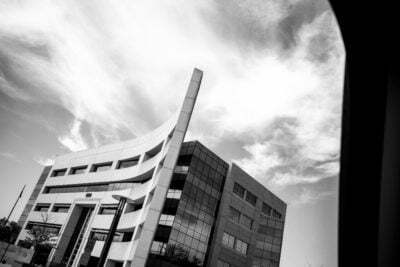 At a court date in Virginia Beach General District Court earlier this month, 60 lawsuits were on the docket. Defendants were based at Fort Bragg, Fort Polk, Fort Benning, and Fort Hood, among other installations in states from Georgia to Washington. The company dropped all but two of the suits. Freedom has also been under scrutiny. Last year, the company settled with the CFPB and attorneys general in Virginia and North Carolina over their debt collection practices. The company agreed to credit or refund customers $2.5 million, pay a penalty of $100,000, and stop filing lawsuits in Virginia courts against out-of-state service members. Separately, Colorado’s attorney general has also sued the company. But, in a statement, Freedom said its decision to close down had nothing to do with the change to allotments or lawsuits by regulators. Instead, it was due to increased competition from the lease-to-own industry and the fact that “the price of televisions and other consumer electronics, which make up half of our sales, has decreased significantly,” said spokeswoman Elizabeth Heaton.